365 All Access Pass - 365 Days of All Sports Get access to ALL of your favorite Experts Premium Picks or Insider Reports and Everything You Need To Win for 365 days. This All Access Pass includes - Top 10 Star Plays, Games of the Week, Month, Year and more! MONTHLY All Access Pass - 31 Days of All Sports Get access to ALL of your favorite Experts Premium Picks or Insider Reports and Everything You Need To Win for 31 days. This All Access Pass includes - Top 10 Star Plays, Games of the Week, Month and more! WEEKLY All Access Pass - 7 Days of All Sports Access to ALL of your favorite Experts Premium Picks or Insider Reports and Everything You Need To Win for 7 days. This All Access Pass includes - Top 10 Star Plays, Games of the Week and more! 3 DAY All Access Pass - 3 Days of All Sports Access to ALL of your favorite Experts Premium Picks or Insider Reports and Everything You Need To Win for 3 days. This All Access Pass includes 3 Full Days - Top 10 Star Plays, and Games of the Week and more! 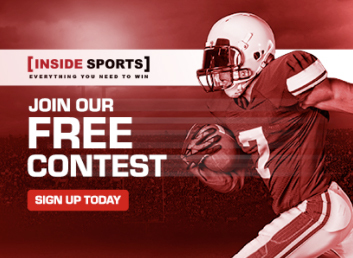 1 DAY All-Access Pass - 1 Day of All Sports Access to ALL of your favorite Experts Premium Picks or Insider Reports and Everything You Need To Win for 1 day. This All Access Pass includes 1 Full Day - Top 10 Star Plays, and Games for that Day!